French President Emmanuel Macron continues to push ahead with the idea to reduce dependence on the US and NATO and create an EU defence force. Macron's recent statement has received support from the European Commission and criticism from the UK. However, step-by-step the EU military force is taking shape. 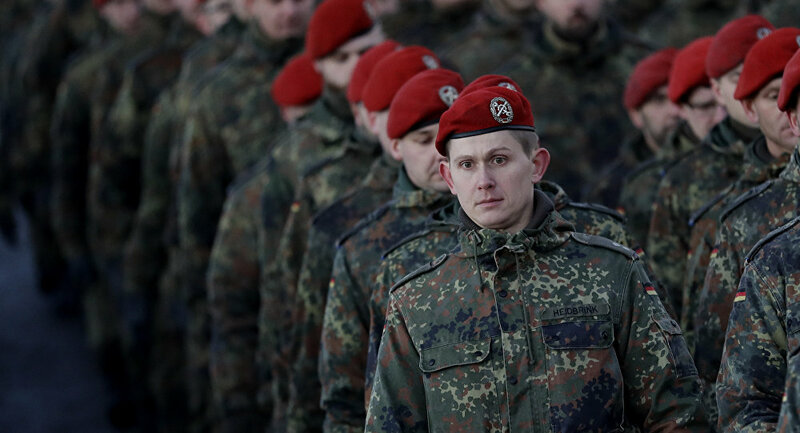 It appears that the pipe dream of a European army has a chance to become a reality: French President Emmanuel Macron, an ardent proponent of the EU common defenсe forces, has yet again called upon the bloc to form a "real European army." "We have to protect ourselves with respect to China, Russia and even the United States of America," Macron told Europe One radio on November 6. "When I see President Trump announcing that he's quitting a major disarmament treaty which was formed after the 1980s euro-missile crisis that hit Europe, who is the main victim? Europe and its security," the French president underscored, referring to Donald Trump's intention to withdraw from the Intermediate-Range Nuclear Forces Treaty signed by the US and the USSR in 1987. Macron's remarks have prompted a lively debate among European politicians. Thus, Greek socialist MEP Eva Kaili voiced her support to Macron, saying that the bloc needs its own defence force: "You know, we are the borders of Europe, so Greece and Italy suffered the most from the migration and refugee crisis. The threat we have also from a NATO ally, like Turkey, I think it's something that if we want to deal with we have to be together with the rest of Europe," she told Euronews' Raw Politics program on Wednesday. Chief Spokesperson of the European Commission Margaritis Schinas echoed Macron by saying that "this is the Commission that put forward lots of initiatives and proposals to start building gradually a more meaningful and assertive defence identity in these difficult geopolitical times." The Commission's benevolent attitude towards the European army concept is no news: European Commission President Jean-Claude Juncker has endorsed the idea of creating the EU armed forces since 2014. ​"In the very long run, we will need a European army," he tweeted on May 20, 2014. "Because we have to be credible when it comes to foreign policy." In September 2017, Juncker stressed that "by 2025, [the EU] needs a functioning European defence union" while delivering an annual State of the Union address to the European Parliament. Three months later, the EC president hailed the launch of the Permanent Structured Cooperation (PESCO), the prototype of a unified military structure enshrined in the Lisbon Treaty of 2007. ​In June 2018, Angela Merkel also signalled her support to Macron's proposal to create a joint European military "intervention force": "I am in favour of President Macron's proposal for an intervention initiative. However, such an intervention force with a common military-strategic culture must fit into the structure of defence cooperation," she told Frankfurter Allgemeine Sonntagszeitung. The same month, nine EU countries — namely, France, Germany, Britain, Belgium, Denmark, the Netherlands, Estonia, Spain and Portugal — joined European Intervention Initiative (EII), a European military force to react to potential crises without help from NATO or Washington. However, the UK has traditionally opposed the plan of creating a full-fledged European army. Thus, it was hardly surprising that on November 7, Nigel Farage, former leader of the right-wing UK Independence Party (UKIP), denounced Macron's concept as "dangerous." "I think a European army is very dangerous. 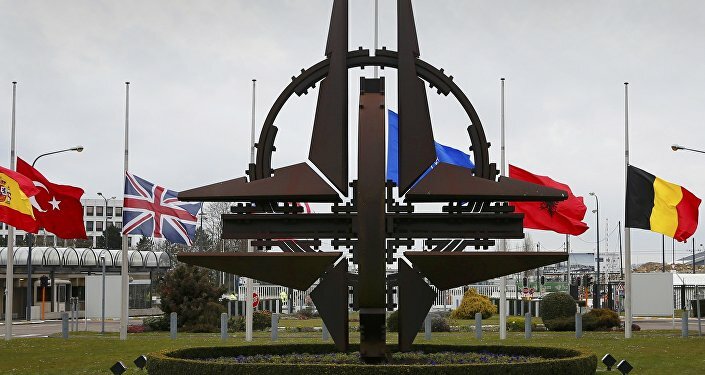 What an insult, and what a worry this is for those that believe in cooperation with America and others in NATO," Farage told the radio program Leading Britain's Conversation (LBC).